We are so excited to launch our newest product for all of you monarch butterfly lovers: our monarch chrysalis enamel pin! We were blown away when we saw a monarch caterpillar pupate for the first time, watching the caterpillar shed its skin and become a bright green case accented in gold. It inspired us to create this enamel pin, and now we’re thrilled to reveal it to you. The chrysalis of the first monarch butterfly we raised. Two weeks later, a healthy adult butterfly was released in our native plant gardens! This past year we've connected with so many people who share a love of monarch butterflies! Monarchs really are a great icon for conservation and public participation in science. And the more we can get people striking up conversations about the butterflies, the more monarchs we can save. While we’re proud to provide habitat and nourishment for monarchs in our yard, we also wanted these pins to help save these beautiful creatures. A portion of the proceeds from every pin sold will go toward the Monarch Joint Venture, to support their nation-wide monarch research and conservation efforts. Visit our shop to get your pin and help us protect the monarch butterfly! Plastic pollution is a huge problem in our oceans, and while much of it has to do with the commercial fishing industry, we owe it to the Earth to cut back as much as we can. One way we have cut back in our home is by carrying our own bags. Besides the many totes we use for the grocery, we have cool fold-up bags we carry to use in any store. While outright straw bans are unfair to many disabled people, if you are able to reduce your use of plastic straws, switching to a compostable or reusable one (we love our stainless steel set) is another good way to pitch in. Most coffee shops are happy to fill your own cup, so if you don’t have time to brew it yourself, take your insulated mug. This has become a huge pet peeve of ours, to be honest! Balloons released by the thousands for a few seconds of entertainment eventually fall to earth as non-biodegradable pollution and post a danger to wildlife who can become tangled in strings or choke on balloons. It’s not worth it. This has been one of the most joyful things we’ve done, and the environmental benefits are the frosting on top! Add beauty throughout the year and find a deeper connection with nature as you watch wildlife live where you live. There are so many fun options to choose from when you set out to provide lodging for solitary bees. Whether you buy one pre-made or use one of the many DIY project plans out there, giving a home to some of our overlooked pollinators is a great choice. One way we keep our trash can light is by composting everything we can. Now, our little household of two usually only puts out trash to be picked up twice a month at most. Our plants enjoy the nutrient-rich soil amendments and our kitchen is less smelly, too! We try to keep the hardworking people protecting wildlife and habitat in mind all year around, but on Giving Tuesday many corporations will double your gift to nonprofits to encourage charitable giving. So let’s all take advantage of this great time to be generous! Here are some organizations doing good work for science and the environment. This organization founded by Dr. David Steen provides critical funding to researchers studying wildlife. The grants the AWF provides help with field research, outreach, and many other aspects of wildlife conservation science. If you’d like to learn more about The Alongside Wildlife Foundation, visit their website www.alongsidewildlifefoundation.org. Have you ever wanted to sit down and have a Q & A with an expert in the field you’re studying? Well, that is exactly what Skype a Scientist offers! Their goal is to connect scientists with classrooms all over the world. While they aren’t a nonprofit, we think they are doing some really great work of making science more accessible for children. You can learn more about them at their website, www.skypeascientist.com, and purchase some very cool merch to support their mission. The Nature Conservancy does important work to conserve habitat and fight against climate change. They have chapters in every US state, so no matter where you live you’re probably close to one of their beautiful preserves. Find more information at www.nature.org. If you’re interested in giving children access to the best science education possible, you should definitely check out the National Center for Science Education. They especially focus on teaching evolution and climate change science. The NCSE also monitors and helps communities fight against local policies and state legislative bills threatening accurate science education. If you’re interested in finding out more, you can visit their website www.ncse.com. Some of the most tireless and dedicated animal lovers we’ve ever met are those who rescue, rehabilitate, and (hopefully) release injured and orphaned wildlife. Animal Help Now located at www.ahnow.org is a great place to find your local wildlife rehabilitation center. There’s no better way to help the critters in your own neighborhood! Donating to your local land trust is a great way to conserve wilderness close to home. These organizations not only preserve habitat and provide ecosystem services they also provide accessible nature escapes close to home. If you are not sure if you have a land trust near you, you can use www.FindALandTrust.org to find one! The smallest animals often play the most important roles in an environment and the Xerces Society works to protect them. They help to educate the public and build habitat for pollinators. We love their educational resources! To learn more about the Xerces Society, go to their website www.xerces.org. Every wild animal needs a good lawyer! The Defenders of Wildlife take on the courts and work on Capitol Hill to ensure our wildlife has the protection it needs. They work to retain endangered species laws as well as to keep corporations from encroaching on public lands. To learn more about Defenders of Wildlife, go to their website www.defenders.org. This organization promotes outdoor recreation, nature, and conservation for all! Outdoor Afro was founded to help connect the African American community with natural spaces. Encouraging leadership in environmental education and outdoor recreation, they have active networks in 30 US states. To find the network nearest you, go to www.outdoorafro.com. We love snakes. We’re sure a lot of you love snakes. But let’s face it, snakes don’t have the best PR. Advocates for Snake Preservation works hard to improve public perception of our slithering friends. To help them in their mission, consider adding them to your Giving Tuesday donations. You can visit their website www.snakes.ngo to find out more. We love kicking off the holiday season with the lighting of the Bloomington, Indiana downtown at the Canopy of Lights celebration! The whole town comes together to sing Christmas songs and countdown to the lights switching on for the season. It feels like we live in one of those small towns featured in Hallmark movies, even if just for one night. If you’re looking for a place to relax and let all the stresses of the season melt away, it is the West Baden Springs hotel atrium. Sit and enjoy the 40-foot Christmas tree in this elegant indoor dome that will make you feel under-dressed. But you probably won’t care as you chill out in their comfy lounge seating. You can indulge with some ice cream or an adult beverage and escape real life for a bit in this magical setting. If you aren’t ready to give up on Halloween but everyone is telling you to get in the Christmas spirit, then this event is for you! Decide whether you’re going to be naughty or nice with the stickers provided by the organizers and then find a prime spot on the parade line. Then, be delighted by hula-hooping angels, fire breathers and jugglers, and finally the main event: giant Krampus monsters! They terrorize the naughty with their growls, grunts and fistfuls of switches. If you’re really brave you can run the gauntlet of Krampus after the parade. You might even spot one or two rogue beasts around Bloomington later in the evening frightening children into being good! Blue Aster Studio's 2018 Holiday Sale! The holiday season has rolled around once again. If you have hikers, birders, bug collectors, and other breeds of nature lovers on your list, we think we’ve got some gifts that will fit the bill. From now until Christmas Eve, everything in our shop is 10% off, with all orders over $25 eligible for free domestic shipping. Head over to Etsy to browse the selection! Looking to get outside and avoid the shopping crowds on Black Friday? There are some wonderful free hiking opportunities being offered in our great state of Indiana! Besides, the sales have now expanded beyond Black Friday itself so you won’t even be missing any deals. Let’s take a look at some of the parks providing extra incentives to opt outside! If you’re in the Northern part of the state, you head on over to the Indiana Dunes National Lakeshore for some expert-led hikes. The good people at Save the Dunes will offer two hikes: one through the dunes at West Beach and one in Miller Woods. You can find more information about these hikes at the National Park Service website. The Indiana Department of Natural Resources is also offering free admission at all Indiana State Parks this Black Friday. So, no matter where the holiday takes you, you are close to a great hiking experience! You can also share your pictures with the Indiana DNR using #OptOutsideIN for a chance to win a 2019 state park pass as well as other prizes. Whether you’re near Pokagon or Clifty Falls, Turkey Run or Mounds, be sure to get outside and enjoy Indiana! You can find more information on the Opt Outside Black Friday events on the Indiana DNR website. If you’re not in Indiana this holiday or want to find hikes outside the state, you can go to the REI Opt Outside website to find great hiking opportunities near you! And for those of you who aren’t able to get out this Black Friday, you can always follow along with #optoutside on social media to enjoy the outdoors! 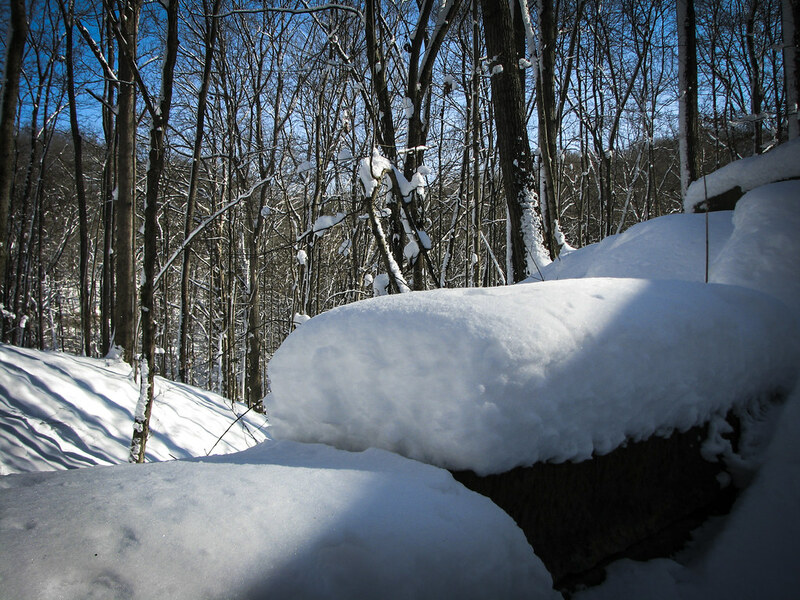 Take a hike with us...at Brown County State Park! When we aren’t working on Blue Aster products or commissions, we love to get outside and hike as much as possible. And we love sharing pictures of our hikes and nature finds both big and small! Follow along here to see where we’ve hit the trail! This year we had the chance to collect a few monarch caterpillars to raise on our porch. In years past we hadn’t had the opportunity, probably because we didn’t have enough milkweed. So we were very excited to be raising our first monarchs. We wanted to share a few tips we learned both from doing this ourselves and talking and reading about others who have also decided to raise monarchs from their pollinator gardens. A small butterfly raising net cage works great for amateur monarch enthusiasts. We had a very large fish bowl that we used. It was large enough to house one monarch caterpillar at a time. We kept our caterpillars on our screened porch so that they were safe but also had the benefit of being outdoors. The other benefit our large fish bowl had was the ability to disinfect it easily between our caterpillar guests. Cleanliness is important because there are parasites that can harm the monarch population. You want to be sure you’re not helping to spread disease in the monarch population. Monarch caterpillars only eat milkweed, so you want to be sure you have a large enough supply to keep your caterpillars well fed until they pupate. You will need to refresh the milkweed in your caterpillar’s home every one to two days. If you don’t have a lot of milkweed growing in your garden, you might want to consider scouting out some additional food for your monarch caterpillars. You might have a neighbor or a local park with a little milkweed to spare. Or you can also check in with your local native plant groups to see where you might be able to purchase more milkweed plants. An important thing to remember is to not take on more than you can handle when raising monarchs. If you have a lot of other responsibilities, don’t add feeding and cleaning up after caterpillars to your list! Just enjoy watching them utilizing your garden! Your caterpillars will need at least a daily check-in (change out milkweed, clean out the container of poo, etc). The monarch population has enough of an uphill battle without us trapping and neglecting them. Before you start on the journey of raising a monarch caterpillar, do some research with some reputable organizations. Some of our favorites are the Xerces Society, Monarch Watch.org, The Monarch Joint Venture, or state departments of natural resources. There are also many entomologists on Twitter that are great resources for information and are usually happy to point you in the right direction for more info. One thing to remember if you’re bringing in a monarch caterpillar to raise to show your children is that sometimes, nature can be cruel. Not every monarch caterpillar’s story will end in a release of a beautiful monarch butterfly. There can be some complications along the way and you might have to have some tough conversations if things don’t go well. While this can all be part of the lesson, it was very sad even for us (two adults) when our caterpillar failed to thrive or didn’t pupate fully. 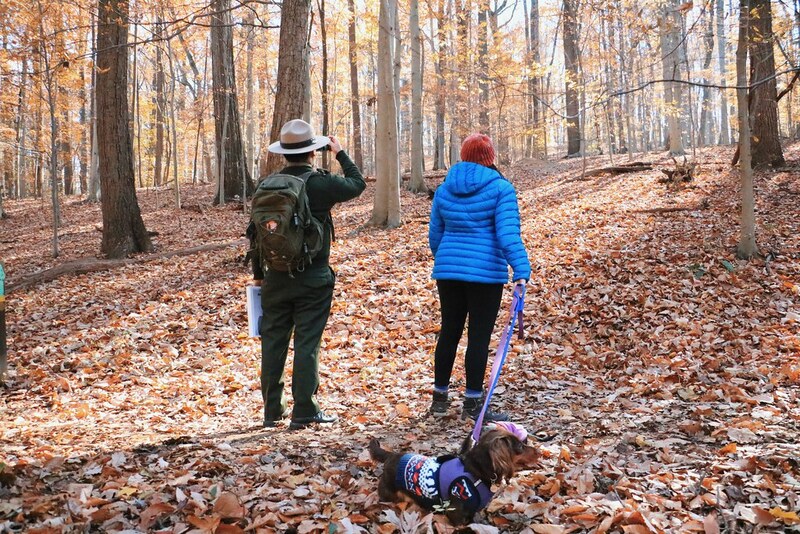 Take a hike with us... at Amy Weingartner Branigin Peninsula Preserve! If you live near Monroe County Indiana, this is a must hike trail! It takes you right out to Lake Monroe for a perfect panorama view anytime of the year! This Sycamore Land Trust site is pretty popular and you may have a difficult time finding a parking spot during peak hiking season or on weekends. (You cannot park anywhere but the parking lot.) We prefer to hike this trail on a weekday. Sign up with your email address to receive quarterly news and updates from Blue Aster Studio.